We have a ton of written information about the park--here on the blog, on Facebook, Twitter, and Instagram, and in our weekly e-newsletter. We even have historical information on signs placed around the park. If you are not a visual learner, we have good news for you. Bryant Park has its own audio tour! 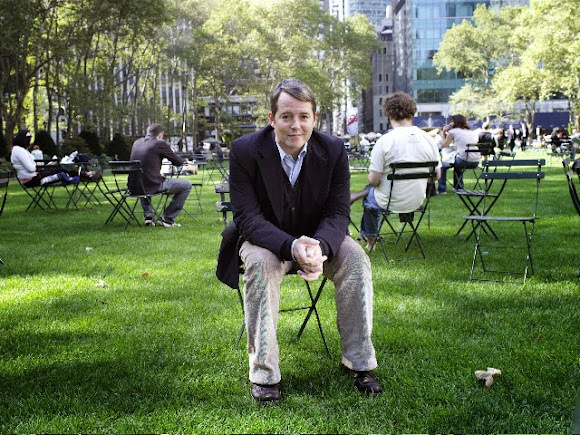 Actor Matthew Broderick narrates our Bryant Park Audio Tour. Narrated by Matthew Broderick, the audio tour is broken into bite-sized segments that depict distinct elements of the park: Le Carrousel, the Reading Room, the Josephine Shaw Lowell Fountain, and more. Pick and choose the sections you're interested in, or listen to them all! The whole tour takes about 35 minutes and is a lovely way to deepen your knowledge of the park. You can stream the tour through our website, or download for free on iTunes. Be sure to read our history signs, which are scattered throughout the park and give historical background on the park.